We’d love your help. Let us know what’s wrong with this preview of Unmasking the Earl by Elizabeth Keysian. Devastated by the disappearance of his sister, the Earl of Stranraer has gone to extraordinary lengths to find the notorious rake responsible, and enters his household incognito to wreak his vengeance. But his enemy has an unexpected protector—the innocent but headstrong Miss Cassandra Blythe. Cassie is determined to learn the art of seduction. But she is blindsided by her Devastated by the disappearance of his sister, the Earl of Stranraer has gone to extraordinary lengths to find the notorious rake responsible, and enters his household incognito to wreak his vengeance. But his enemy has an unexpected protector—the innocent but headstrong Miss Cassandra Blythe. Cassie is determined to learn the art of seduction. But she is blindsided by her body's thrilling response to the wrong man—a mysterious servant who shows up at the most inauspicious moments to spoil her lessons in love with warnings of her imminent ruin. When she learns the handsome servant's identity and the reason for his deception, she resolves to help Stranraer, but only if he abandons his vow to destroy his enemy. To ask other readers questions about Unmasking the Earl, please sign up. I received this ARC in return for an ho est unbiased review. I was completely captivated by this book and enjoyed it very much indeed , every aspect of this book I loved from the settings described to each character and how the book itself unfolds. I will not give any plot away as it would be unfair to do so though I will say this any who enjoy historical romance that has everything from humour to mystery will adore this story, Completely Captivated. I will not give any plot away as it would be unfair to do so though I will say this any who enjoy historical romance that has everything from humour to mystery will adore this story, and I for one will be collecting more books by Elizabeth a this is the first I have read and am determined to read more. I LOVED the heroine of this book. Cassie was full of sass and bravery, occasionally reckless but never stupid. Yes, her decision to ask a notorious rake to teach her how to seduce a man might seem a little on the dimwitted side, but she really is desperate. Cassie is in love with her childhood friend Julian, who unfortunately views her as his aggravating little sister. Desperate to get his attention, she is willing to try any means necessary. I started the book thinking 'yeah, yeah, I've read this I LOVED the heroine of this book. Cassie was full of sass and bravery, occasionally reckless but never stupid. Yes, her decision to ask a notorious rake to teach her how to seduce a man might seem a little on the dimwitted side, but she really is desperate. I started the book thinking 'yeah, yeah, I've read this one before... she winds up falling for the rake and reforming him' and then the book threw a complete curve ball, because that's not what happens AT ALL. Said rake's manservant Ned Ganstridge appears bound and determined to stop Cassie from getting herself into a scrape she can't get out of, and really, he is awfully bossy for a servant... as well as far too handsome for his own good. Of course, Ned turns out to be the titular Earl, masquerading as a servant to investigate the mysterious disappearance of his sister. Cassie is a distraction he doesn't need, but he can't just leave her to ruination. For her own good, he has to help her out. Falling for her really wasn't part of his plan. I really enjoyed Unmasking The Earl. Ned can be autocratic, but the worst of his excesses are actually understandable when you bear in mind his anxiety about his sister, and Cassie didn't just meekly sit back and take his orders. One of my favourite scenes was when Ned desperately needed her help and Cassie quite firmly laid down the law and told him that she'd leave him in the mess of his own making if he didn't behave himself. I just about applauded. However, the book did fall into a trap I particularly hate in historicals; when the supposedly 'honourable' hero takes the innocent heroine's virginity before proposing marriage, and then fails to immediately do so. That is not honourable. It doesn't fit the definition, and it made Ned look like a massive hypocrite. Because of that, I can't give the book any more than four stars. Ned is undercover. He's left his titled life behind to take up the identity of a servant in hopes of discovering the whereabouts of his missing sister. He suspects his new employer to be the guilty party and Ned will stop at nothing to learn the truth. One thing he isn't prepared for, however, is a lovely young woman to come barreling into the situation, threatening to reveal him and destroy his plan. Cassie knows there is something different about this servant, despite the strange accent he wields or the common clothing he wears. And when she begins to visit a known rake's home, Ned takes it upon himself to save her from a ruined reputation. But Cassie is determined to ignore the brute's commands and solve the puzzle of the earl-in-servant-clothing. Unfortunately for the both of them, their bickering turns to stolen kisses and their attraction is hard to ignore. The mystery surrounding Ned's sister is still unsolved but the pair stand a chance of figuring it out if they work together. Miscommunication, untimely interruptions, and a pesky constable add to the adventure. This book! Ahhhh... I loved it. Okay. Let's start with the characters. Wow. Ned was domineering and pure alpha male in every sense of the word. Even under the guise of a servant, his presence was that of a titled gentleman. I knew from the moment I met him that I could like this guy. He was hot-headed and his jealous bone was downright adorable. And Cassie was a young woman with guts and a dream to wed another. She was oblivious and naive in many ways, but once she saw the light, I was glad to see that she didn't revert back to ignorance. She matured a lot throughout the story. I wish she had given a certain idiotic gentleman a piece of her mind, but karma seems to have taken care of that. The plot was rather interesting because it definitely kept me guessing. Even when I thought I had figured it out, there were a few twists thrown in. And the churchyard scene? I gasped at least three times within five minutes. My children thought I was going nuts! The romance here was full of passion. From the first kiss to the scandalous last scene, I loved every moment of it. This was one of those pairings where the couple tried their best to avoid their lust for each other but couldn't deny it in the end. I love those couplings because they're always intense and exciting. It's not really enemy-to-lovers but definitely nuisance-to-lovers. Great pairing, indeed. I have to get my hands on the first book in this series and those to come. Five scandalous suns! Several months earlier there was a fire at the home of Edmund Talbot, Earl of Stranraer’s Aunt Claudette’s & it was feared that Edmund’s sister Georgiana had died, but when no trace of her was found Ned went to extraordinary lengths to find the notorious rake responsible, Captain Francis Wycherley and enters his household incognito as a servant, Ganstridge, to wreak his vengeance. There he meets the innocent but headstrong Miss Cassandra Blythe who wants Wycherley to teach her how to seduce Julian the childhood friend she loves. Cassie is determined to learn the art of seduction. But she is blindsided by her body's thrilling response to the wrong man—a mysterious servant, Ganstridge who shows up at the most inauspicious moments to spoil her lessons in love with warnings of her imminent ruin. A while back, I ran across this author on Wattpad when she was just going about getting published. So when this title came to review, I jumped on it. I’m always looking to read and review titles from authors who got started on this social media website. Unmasking the Earl by Elizabeth Keysian is book two in her Wayward in Wessex series, and it was a fun, suspenseful historical novel. Cassandra Blythe has it bad for her childhood friend. The problem is that he has his eyes set on another female en A while back, I ran across this author on Wattpad when she was just going about getting published. So when this title came to review, I jumped on it. I’m always looking to read and review titles from authors who got started on this social media website. Unmasking the Earl by Elizabeth Keysian is book two in her Wayward in Wessex series, and it was a fun, suspenseful historical novel. Cassandra Blythe has it bad for her childhood friend. The problem is that he has his eyes set on another female entirely. Cassie plans on seducing him and who better to teach her the ways of seduction than the renowned rake, Wycherley. If only said rake’s annoying servant, Ganstridge, wasn’t taking up so much space in her head. Ned Ganstridge is posing as a servant in hopes of finding his missing sister. Everything's going according to plan until he falls into an unlikely acquaintance with Miss Cassandra Blythe. There’s something about her that brings his body to life, but he’s too busy to entangle himself with the mystery of his sister looming. This one started off really well. I always admire a heroine who sets a goal for herself and is willing to shun society’s rules and go after it. Cassandra is such a character, and it was fun watching her go toe-to-toe with who she thinks is an impertinent servant. Sparks fly high and hot, and the last thing she wants is to be diverted from her goal--obtaining marriage to her oldest and dearest friend. Ned doesn't want to be diverted either, but Cassie has no problems telling him to shove off, and it just confounds this man. How fun it is to watch these two circle the other! The plot, however, felt a bit far-fetched. Logically, I didn't understand Ned's theory in regards to his sister's disappearance. It doesn't make sense, all the leaps he took. The ending also churns a few chapters too long. Overall, this was a solid exploration into the world of lords and ladies with a good mystery subplot. The side characters added good bouts of humor, and Cassandra definitely gets herself into a pickle being the object of affection to this authoritative earl. This book was quite the adventure! I really enjoyed getting lost in this story! (Not lost as in I couldn't follow along, but lost as in I read for three hours before I realized how long I had been reading for!) While I'm not that well-versed in historical romances, I found this one easy enough to understand and really liked all of the "scandalous" things that took place. Aside from Ned, what I liked most about this book was that I didn't have to wait until the end for the mysteries and conflicts t This book was quite the adventure! Aside from Ned, what I liked most about this book was that I didn't have to wait until the end for the mysteries and conflicts to be resolved. Yes, one conflict held out until the last page, but I felt Elizabeth did a wonderful job of "tugging me along" by resolving one mystery, then hyping up the next one, then resolving that one, etc. I seriously couldn't put this down! I wasn't so sure about Cassie at first, but as the story went on, I really liked how, in spite of the aforementioned scandalous behavior, she didn't take any guff from anyone. I would even call her downright sassy at some points, which I got a kick out of. I really liked Ned. I especially liked his relentlessly protective streak when it came to Cassie. The final scene was absolutely adorable! I received an advance reader copy in exchange for a fair review. Loved the book. The love story between Cassie and Ned is well written and a good read. The disappearance of his sister plays a big part in the book. I would recommend this book for anyone who wants to read a good romance book which ends in a HEA. New-to-me-author Elizabeth Keysian charmed my socks off with Unmasking The Earl. I couldn’t help but fall in love with Cassie and Ned. Cassie was hilarious. In spite of how smart and perceptive she was, she seemed to make choices at times that were risky yet she always managed to land on her feet. Ned was adorable. He endured a lot for the sake of Cassie. I loved his devotion to finding his sister and to protecting Cassie. The latter often got him into some of the funniest predicaments. The spa New-to-me-author Elizabeth Keysian charmed my socks off with Unmasking The Earl. I couldn’t help but fall in love with Cassie and Ned. Cassie was hilarious. In spite of how smart and perceptive she was, she seemed to make choices at times that were risky yet she always managed to land on her feet. Ned was adorable. He endured a lot for the sake of Cassie. I loved his devotion to finding his sister and to protecting Cassie. The latter often got him into some of the funniest predicaments. The sparks really flew as these two collided and bantered their way to love. I thoroughly enjoyed Ms. Keysian’s writing style. This story was humorous and even silly at times without sacrificing genuine emotion, great character development, and an imaginative plot. This was a sweet, funny, and totally romantic read and I can’t wait for more of this series. This is the second book I've read from Ms. Keysian and I loved it just as much as the first. As always, great characters and a story that kept me turning my Kindle pages. And if you're wondering, you don't need to read book 1 to read book 2, but you should probably read book 1 anyway because it was awesome too! The earl is sorely tempted give the meddlesome beauty a lesson in seduction she’ll never forget. But she turns the tables, and he gets his own lesson in forgiveness…and love. Having only recently discovered this author I must say that I found this second book of the Wayward in Wessex series even better than book one. The characters are very well thought out and the storyline captures and keeps your attention. Cassie is certain that her future lies with her childhood friend. She has after all been in love with him for years, so she enlists the aid of a notorious rake to teach her the ins and outs of attracting the attention of the man she has loved since she was thirteen. Edmund, Earl of Stranraer is undercover as a servant in the household of the man he is certain has everything to do with his sister's disappearance. His attempt to become Cassie's protector turns into something quite different. Will Cassie's penchant for helping those who have befriended and attempted to help her turn into love or hate between herself and the earl? This well written tale scores 4.75 of 5 stars from me for storyline and characterization and a sensual rating of 4 of 5 flames. I look forward to additional titles in this series. Although this is book #2 in the series, I believe it reads well as a standalone title. I received a complimentary digital ARC of this title from the publisher to read. I think I need to take a break from historical romances, because this one did absolutely nothing for me. Mostly because of the characters. Cassandra kicks things off by acting in a very unlikely way, running around in the dark with two men and not expecting that to ruin her reputation, then meeting in secret with a rake. She’s supposed to be smart, but there were times when I wondered if she had a brain at all. Then there’s Ned, our earl-in-disguise, looking for his lost sister. His motives may b I think I need to take a break from historical romances, because this one did absolutely nothing for me. Mostly because of the characters. Cassandra kicks things off by acting in a very unlikely way, running around in the dark with two men and not expecting that to ruin her reputation, then meeting in secret with a rake. She’s supposed to be smart, but there were times when I wondered if she had a brain at all. Then there’s Ned, our earl-in-disguise, looking for his lost sister. His motives may be good, but he has serious anger issues. He has arrogant and condescending moments and can be rather judgemental too, but he is an earl, so while I didn’t like those character traits they weren’t entirely unexpected. His temper, however, was a bit too nasty for me to ever like him much. Then there are the other men. One, the object of Cassie’s affections, seems to have a refreshing view of female sexuality – until it comes to Cassie, then he’s an idiot. As for the captain… nope. I didn’t like him, at all. Both he and his lady love are welcome to each other, pretending to be noble when really they’re both being selfish. The plot has plenty of farcical moments that I think were supposed to be funny, turning the mystery into a bit of a romp at times, but the behaviour of all involved and the modern reactions sadly didn’t work for me. I did, however, love the sense of place and time and all the little touches that brought the English countryside in late spring/early summer to life. The birds and the wildflowers and everything that made it feel like home. That was lovely. Sadly, that wasn’t enough to win me over. This one wasn’t for me, and I’m starting to think a break from the whole genre might be needed. 'Unmasking the Earl' by Elizabeth Keysian is book Two in the "Wayward in Wessex" series. This is the story of Lord Edmund Talbot, the Earl of Stranraer 'Ned" and Miss Cassandra Blythe 'Cassie". I have read the other book but feel this is easily a standalone book. Cassie thinks she is in love with Julian Carnforth. Julian just thinks of her as a little sister. So Cassie wants to learn to seduce him. When Cassie sees Julian going off with a lady named Lucy at a party she feels she needs to save h 'Unmasking the Earl' by Elizabeth Keysian is book Two in the "Wayward in Wessex" series. This is the story of Lord Edmund Talbot, the Earl of Stranraer 'Ned" and Miss Cassandra Blythe 'Cassie". I have read the other book but feel this is easily a standalone book. Cassie thinks she is in love with Julian Carnforth. Julian just thinks of her as a little sister. So Cassie wants to learn to seduce him. When Cassie sees Julian going off with a lady named Lucy at a party she feels she needs to save him from this women. Captain Francis Wycherley is who brought Lucy to the party and who has a relationship with her. So Cassie and the Captain go off to confront the two wayward couple. Ned is pretending to be a servant to be in the Captain's house hold to look for clues about what happened to his sister. Ned's sister went missing after a fire happened Ned feels that the Captain has something to do with his missing sister. Ned intervenes when Cassie tries to get the Captain to help her learning how to seduce Julian. But they both find that they can't help fighting their feelings. I enjoyed this story and their banter. Ned was frustrating a few times but overall really loved this book! Fantastic; a comedy of manners with flashes of seriousness and depth. Following the likeable characters through this story felt like watching a light opera. I loved the author’s period-appropriate use of colloquialisms and metaphor. Keysian wove them into the story in ways that felt completely natural. Early in the novel, both the heroine and the hero sometimes behave in ways (class snobbery and sexism) that are repellent to modern society, but are entirely natural for their times. No one would Fantastic; a comedy of manners with flashes of seriousness and depth. Following the likeable characters through this story felt like watching a light opera. I loved the author’s period-appropriate use of colloquialisms and metaphor. Keysian wove them into the story in ways that felt completely natural. Early in the novel, both the heroine and the hero sometimes behave in ways (class snobbery and sexism) that are repellent to modern society, but are entirely natural for their times. No one would have questioned the way that the heroine dismisses romantic possibilities with the servant played by the disguised Earl. That she’s attracted to him despite his presumed status only heightens the considerable sexual tension. Although the hero develops some empathy for the servant class, he’s no social reformer. This, too feels realistic. When the heroine makes some errors in judgment by asking a noted rake to offer her lessons in seduction, she is believably naive in a way fitting young women of her class and family situation. Such characterization works because of Keysian’s ability to show, not tell, how social restrictions would have shaped a woman of her age and moderately advantaged status. 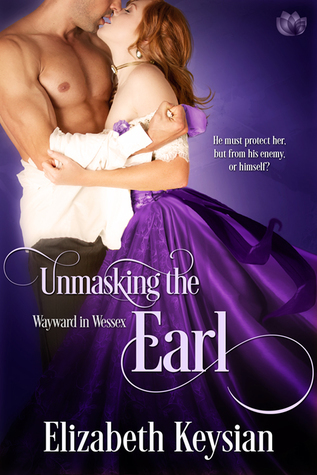 the second book in the wayward in wessex series, unmasking the earl, follows miss cassandra blythe and her quest to get her childhood crush, julian carnforth, to notice her as a woman instead of the little sister he treats her like. after joining forces with captain francis wycherly to prevent julian and captain wycherly's current lover from indulging in a dalliance, cassie has the idea that wycherly might be the perfect person to help her attract julian's attentions. if only his pesky manservant the second book in the wayward in wessex series, unmasking the earl, follows miss cassandra blythe and her quest to get her childhood crush, julian carnforth, to notice her as a woman instead of the little sister he treats her like. after joining forces with captain francis wycherly to prevent julian and captain wycherly's current lover from indulging in a dalliance, cassie has the idea that wycherly might be the perfect person to help her attract julian's attentions. if only his pesky manservant, ned ganstridge weren't around all the time and interrupting at the most inopportune moments. the thing is, cassie can't stop thinking about him. she's never felt this odd magnetic attraction with anyone. and suddenly she finds that she has to work hard to remember that she wants to kiss julian, because ned is all she thinks about. but ned isn't really a lowly manservant. he's on a quest to discover the whereabouts of his missing sister and he believes that wycherly is connected to it somehow. and considering his opinion of wycherly, he is doing his best to protect cassie without blowing his cover. but because he can't stop himself from interfering, it's only a matter of time before cassie learns who he is, and what he is up to. and then she can't stop herself from getting involved. the chemistry between cassie and ned is intense. whenever they are in the same scene together they can't stay apart from each other. and it's only a matter of time before cassie admits that she may not be as in love with julian as she thought she was. cassie and ned just need to stop focusing on the nonsense around them and start communicating with one another honestly. First let it be known that I had the privilege of receiving an ARC from the author for an unbiased and honest review. I thoroughly enjoyed this book. It took me a couple of chapters to get myself fully immersed in the plot but it was well worth the small wait. I won't go into detail about the plot because you can get a hint of that from the back cover. However I will say that if Cassie ever tires of Ned I'm first in line thank you very much. Cassandra or Cassie as she is often referred to in the book is a lovely but headstrong heroine. Also a bit annoying sometimes (for instance stealing my future beau). Moving on from my grudge I will admit that she is a wonderful heroine and really suits the book which is good because she is a main character. Our hero of the story is Ned. And although I never quite liked the name before now I've grown quite fond of it after reading this book. If I were to describe him it would be yummy (or handsome whichever you prefer), a bit blustery and in possession of brain. Who would this book suit? Anyone who loves a good historical romance. It's got just the right amount of adventure to keep you from boredom but all the romantic suspense to keep you on edge. My rating on the amount of heat 😉 would be around two and a half. You know it's there but it's not overpowering either. Unmasking the Earl is just my type of historical romance: a lust-fuelled slow-burn surrounded by mystery, secrets, and intrigue. Ned Turner, the Earl of Stranrear, has gone undercover as a servant in the household of Captain Francis Wycherley: the man he suspects of having involvement in his sister's disappearance. Installing himself within the household under the name of Mr Ganstridge, he hopes to learn the truth of his sister's wherabouts, and bring the rouge responsible to justice. Ned's suspi Unmasking the Earl is just my type of historical romance: a lust-fuelled slow-burn surrounded by mystery, secrets, and intrigue. Ned's suspicions are well founded. Wycherley is a known rake, with attachments to a number of women. But can he really be as reprehensible as Ned fears? The young, innocent Cassandra Blythe certainly does not think so. Cassie enlists Wycherley's help as a tutor in the art of seduction in order to attract her long-term crush, Julian Carnforth. Watching in the wings, Ned fears for young Cassie's reputation in the hands of Wycherley, and seeks to warn her off. He may be a servant, but Cassie isn't blind to his broad shoulders, and strong arms, nor to the handsome and determined face behind that reproachful glare. As the tension between them rises, Cassie learns of Ned's disguise, and sets to helping him, and insodoing, places her reputation, and her heart, in more danger than it ever was with Wycherley. Cassie has been infatuated & thinks herself in love with Julian, her childhood friend since she was 13. Now grown up, she is determined to win his heart even though he only sees her as a sister. Thinking that the way to win him & change his perception of her would be to learn how to flirt and seduce him, she persuades a known rake whose paramour Julian appears to be besotted with to teach her seductive arts. There were several parts of the story that did not sit well with me. Cassie star Cassie has been infatuated & thinks herself in love with Julian, her childhood friend since she was 13. Now grown up, she is determined to win his heart even though he only sees her as a sister. Thinking that the way to win him & change his perception of her would be to learn how to flirt and seduce him, she persuades a known rake whose paramour Julian appears to be besotted with to teach her seductive arts. There were several parts of the story that did not sit well with me. Cassie starts off a bit silly in her pursuit of Julian & her scheme of how to win him. Risking her own reputation and heaven only knows what else, putting herself in such a compromising situation alone with a rake seemed the height of stupidity. Her excuse of visiting said rake was even lamer & I cannot imagine a chaperone of any worth, or a parent allowing such a thing of an unmarried young, innocent lady. When she finds herself attracted to Ned (the hero) & later on learning his true identity she is the one to insist on him making love to her. Right. Hello? Aren’t you supposed to be wildly in love with Mr Julian Carnforth? Ned, the hero was ok but forgettable. Edmund Talbot, the Earl of Stranraer is devastated by his sister’s disappearance and plans to go to any lengths to find the notorious rogue responsible. He feels Captain Francis Wycherley knows something about his sister and he enters household incognito as a servant, Ganstridge, to wreak his vengeance on him. Cassandra Blythe is in love with Julian, her childhood friend, but he doesn’t seem to notice her so who better to teach the art of seduction than the notorious rake, Captain Wycherley. Gan Edmund Talbot, the Earl of Stranraer is devastated by his sister’s disappearance and plans to go to any lengths to find the notorious rogue responsible. He feels Captain Francis Wycherley knows something about his sister and he enters household incognito as a servant, Ganstridge, to wreak his vengeance on him. Cassandra Blythe is in love with Julian, her childhood friend, but he doesn’t seem to notice her so who better to teach the art of seduction than the notorious rake, Captain Wycherley. Ganstridge keeps intruding Cassie’s lessons he shows up at inauspicious moments to spoil her lessons in love with warnings of her imminent ruin. She knows she loves Julian, but she’s is blindsided by her body's thrilling response to the wrong man. Cassie discoveries who Ganstridge the servant really is and she decides to help Ned, the Earl of Stranraer’s uncover the mystery surrounding, sister’s disappearance, but only if he abandons his vow to destroy his enemy. 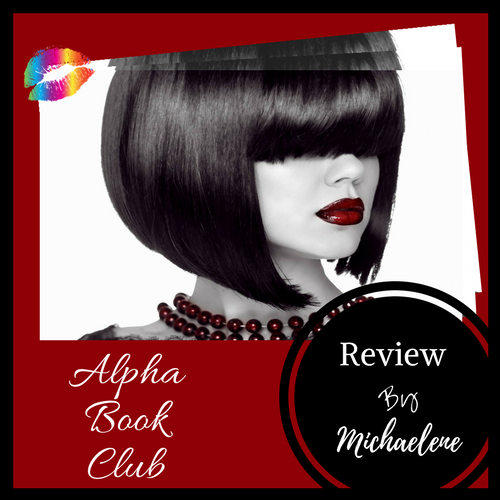 The book is humorous, intriguing with a mystery to solve as two head strong people fight their mutual attraction and sexual tension to find their HEA!!! I voluntarily reviewed an advanced readers' copy of this book from Net Galley and the publisher. I really enjoyed Unmasking the Earl. Cassie and Ned were so much fun to read! While searching for his sister, Ned goes undercover as a servant named Ganstridge to find out if the scandalous man, Captain Wycherley, has done something to Ned's sister, Ned suspects the Captain is hiding his sister with child, leaving her alone and ruined or even worse dead. Cassie pines for a man, Julian, who thinks of her as a child. She decides to take matters into her own hands and uses the willing Captain to teach her the ways of seduction, 1821 style. Fearing Cassie is falling victim to the Captain's less than scrupulous manner, Ned oversteps his undercover role to try to keep the head-strong Cassie's reputation out of danger. The characters in Unmasking the Earl are fun and engaging. While as a Behind Closed Doors Book Review book it is mild on the spicy side of things, the physical romance is satisfying and fairly detailed (I always want more, though). The story moves along and offers a romp like atmosphere of who is fooling whom. Keysian is a new author for me and a look forward to her next book! Cassie has her hands full: She thinks she is in love with man #1 (Julian), thinks man #2 (the Captain) can teach her how to seduce man #1 (Julian), and finds herself fighting the chemistry with man #3 (Ned), who is the presumed servant of man #2 (the Captain). Ned (man #3) is working undercover as a servant in the household of the Captain (man #2), because he feels like he may have had something to do with the disappearance of his beloved sister. Now: Enter Cassie and her unconventional notions, Cassie has her hands full: She thinks she is in love with man #1 (Julian), thinks man #2 (the Captain) can teach her how to seduce man #1 (Julian), and finds herself fighting the chemistry with man #3 (Ned), who is the presumed servant of man #2 (the Captain). Ned (man #3) is working undercover as a servant in the household of the Captain (man #2), because he feels like he may have had something to do with the disappearance of his beloved sister. Now: Enter Cassie and her unconventional notions, and let the fireworks begin! This book was a combination of all the best things in a storyline: romance, suspense, mystery, unexpected chemistry, humorous banter, quirky characters and sparks galore all rolled into a wonderfully-written tale with a distinctively-historical flavor and Regency feel combined. Even though this is the second novel in the Wayward in Wessex series, it can easily be enjoyed as a stand alone. I am eagerly looking forward to the next offering from the uber-talented Keysian! I have to say that Unmasking the Earl was an interesting read. Cassie's kind of silly. Some the things she does to try to get the guy she's "in love" attention. At least she has one friend who was like dude you need to look at other options, because I don't think he's all that into you. However, she's a stubborn chit. However, she's also tenacious, and fearless in some aspect. Now Ned. He's in big brother mode. I didn't mind him being a jerk at times, he was looking out for Cassie even though she didn't see it that way. He did make some excellent points to Cassie. All he wanted to do was find his sister. Overall, Unmasking the Earl was an all right read. There some silliness to the story with Cassie being to stubborn to realize she was being kind of dumb in some the situations she puts herself in. I did like Cassie and Ned together, because they balance one another out. She's a bit impulsive and he need someone like her to help him. Ned, the Earl of Stranraer, takes a position as a servant in the house of Captain Francis Wycherley, the man he believes was in a secret relationship with his sister before she disappeared during a fire months ago, in order to try to find out what happened to his sister. Cassie Blythe has been in love with a childhood friend Julian, but he has taken no romantic interest in her, so Cassie seeks out the Captain to get advice on capturing Julian's notice. However, during her lessons from the Captai Ned, the Earl of Stranraer, takes a position as a servant in the house of Captain Francis Wycherley, the man he believes was in a secret relationship with his sister before she disappeared during a fire months ago, in order to try to find out what happened to his sister. Cassie Blythe has been in love with a childhood friend Julian, but he has taken no romantic interest in her, so Cassie seeks out the Captain to get advice on capturing Julian's notice. However, during her lessons from the Captain, she begins to feel an attraction to the insubordination servant who acts in a protective manner towards her. The story relies on the aristocrat disguised as a servant trope, but it does it very well and it doesn't overdue it. There is witty banter between the main characters, several humorous interactions when different sets of characters interact, as well as a mild level of mystery. I found the story quickly pulls the reader along, and was an enjoyable read. What struck me first about this book is the diction. The word choice draws you into the era and the mindsets of the characters. The author enlivens the era further with small snatches of description that lends an authenticity to the setting. Robins eating young green plums off the tree, that sort of thing. If you know (as I do) that Elizabeth Keysian lives in Wessex, you'll know to trust those little descriptions as a true taste of the area. I love reading that in a book because it transports yo What struck me first about this book is the diction. The word choice draws you into the era and the mindsets of the characters. The author enlivens the era further with small snatches of description that lends an authenticity to the setting. Robins eating young green plums off the tree, that sort of thing. If you know (as I do) that Elizabeth Keysian lives in Wessex, you'll know to trust those little descriptions as a true taste of the area. I love reading that in a book because it transports you to that place. (3.5) Everything is not always as it seems. A definite theme in this story. What I like about this story is that it has the witty banter and quirky characters found in the first book in the series (at least through the first third of the book). The middle kind of drug a bit for me but it did pick up again at the end of the story. I loved Ned and Cassie’s interactions (especially Ned’s constant busting in and under the breath remarks). Very funny. Good characters and situations. A nice read. I wou (3.5) Everything is not always as it seems. A definite theme in this story. What I like about this story is that it has the witty banter and quirky characters found in the first book in the series (at least through the first third of the book). The middle kind of drug a bit for me but it did pick up again at the end of the story. I loved Ned and Cassie’s interactions (especially Ned’s constant busting in and under the breath remarks). Very funny. Good characters and situations. A nice read. I would have liked more story on the Captain and the woman he loves. It was a great side story that I think could have been expanded more. I received a complimentary copy from the publisher through NetGalley. This is my first time reading a book by Elizabeth Keysian and I'm hooked! I loved how they were at odds at all times but drawn to each other at the same time. There are a couple twists surrounding his sister and what happened that I didn't seeing coming. I loved the ending and how I never was sure what was going to happen. Cassie is determined to get what she wants no matter what. I loved how she saw things from a calm point of view and defended people. She had to learn about herself and it caused some interesting things. This is the second story in Wayward in Wessex series and not reading the first story, I can safely say that I had no trouble following this one. I don't think it's necessary for you to read the first one either in order to understand the goings on in here. If you love lighthearted and romp romances, this one will fit the bill to a tee! There's a lot going on here with lots and lots of characters that are fun and funny. I enjoyed the characterization of both leads and their interaction was fun. I This is the second story in Wayward in Wessex series and not reading the first story, I can safely say that I had no trouble following this one. I don't think it's necessary for you to read the first one either in order to understand the goings on in here. If you love lighthearted and romp romances, this one will fit the bill to a tee! There's a lot going on here with lots and lots of characters that are fun and funny. I enjoyed the characterization of both leads and their interaction was fun. I also found the setting of the countryside appealing and refreshing. This is a perfect story to lighten the rainy day afternoon. Miss Cassandra Blythe is most distressed that man who she has loved since she was a child, only looks at her as a sister. She must do something to make him notice her. Lord Edmund Talbot, the Earl of Stranraer is searching for his sister who vanished several months before. The only clue he has is the name of a well known libertine. This is a wonderful, crazy adventure. Our mischievous heroine risks all for love, and our bullheaded hero has a problem controlling his temper. Lots of fun and a litt Miss Cassandra Blythe is most distressed that man who she has loved since she was a child, only looks at her as a sister. She must do something to make him notice her. This is a wonderful, crazy adventure. Our mischievous heroine risks all for love, and our bullheaded hero has a problem controlling his temper. Lots of fun and a little mystery to solve. The final scene in particular was vastly entertaining. I adore history and archaeology, and write romances that give the reader an experience of travelling back in time. I feel very British-despite my Viking ancestry-and love creating rich backdrops for my stories based on real places and actual experiences. Confession time- I used to be a re-enactor, so I've sampled the living conditions, clothing, and smells of the past! My characters battle their pro I adore history and archaeology, and write romances that give the reader an experience of travelling back in time. My characters battle their problems with both tears and laughter, but I always guarantee them a Happily Ever After, no matter what I've put them through. The historical romances of Elizabeth Keysian- enjoy them all!